announced as winners in the Personal Accessories category with the Miss BIC® lighter display. 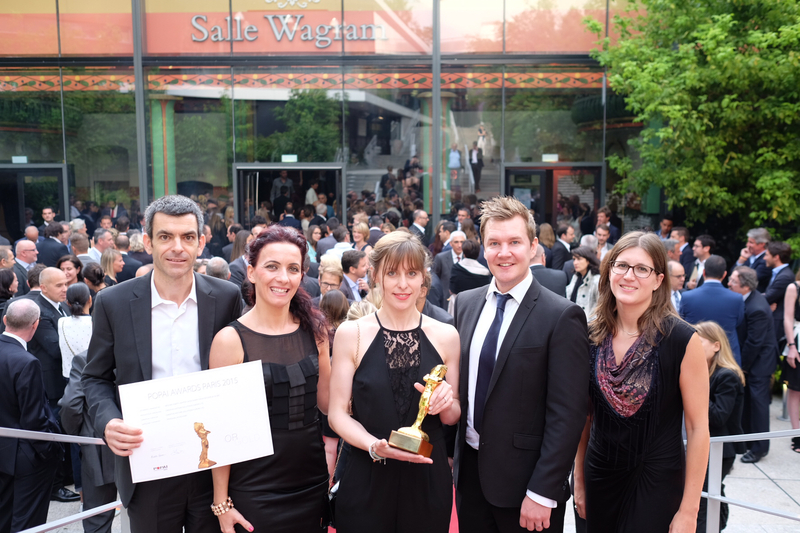 The annual award winners were announced at a gala dinner held on 18th June 2015 at Salle Wagram in Paris. Representatives for both CIS and BIC were present to receive the accolade in the form of a POPAI Indian. Well known lighter brand BIC® originally tasked CIS with designing and manufacturing a permanent in store display system that would capture the DNA of the Miss BIC® brand. The resulting “high heel” display unit with its small footprint and ready to use flexible configurations immediately engaged female shoppers, driving tobacco and convenience impulse lighter category sales. “Following the original design brief from BIC, focusing on shopper emotion and engagement, CIS succeeded in pushing the activation boundaries with a fashion forward display. The resulting award winning display overcame engineering challenges allowing two and three tier configurations and still producing the iconic stiletto shape” said Jeremy Davis, Head of Creative Design, CIS. “The entire CIS team are exceptionally proud of this award winning result”. CIS successfully highlighted BIC’s brands sophistication, creating an iconic and instantly recognisable display which allowed them to capture a permanent footprint in store with ease of merchandising and long term durability. This is the second award winning design of in store display units designed by CIS for BIC®. Hey Lee, just noticed that the image didn’t work for this on LinkedIn. Do you know why?